Can you handle the truth about building a passive income lifestyle? Because during the discussions on real estate investing and building a solid portfolio of income property, some of the most important aspects often get lost. During the minutia that comes with running a business sometimes we forget why we are investing in the first place, namely our lifestyle and time wealth. Without our over-arching goal in mind and processes finally in place we entrepreneur-investors can end up a frustrated employee in a bad job with a boss (you) that can be a jerk. For many investors, we want the financial freedom and independence that comes from a properly set up and running business that throws off enough cash to fund a lifestyle that’s both comfortable, secure and rewarding. But what often happens is we create a business that’s dependent on our mostly own involvement in order to make the business run. Over time we actually become a bottleneck in our business and hinder our growth and profitability. So no matter how hard we try the business never gets traction. No matter how many hours we work we can’t get a grip on the business but instead the business has a grip on us… not allowing us to have a lifestyle we’re seeking. If fact, we may feel like we’re losing control instead of gain more control of our life and freedom with our time and finances. 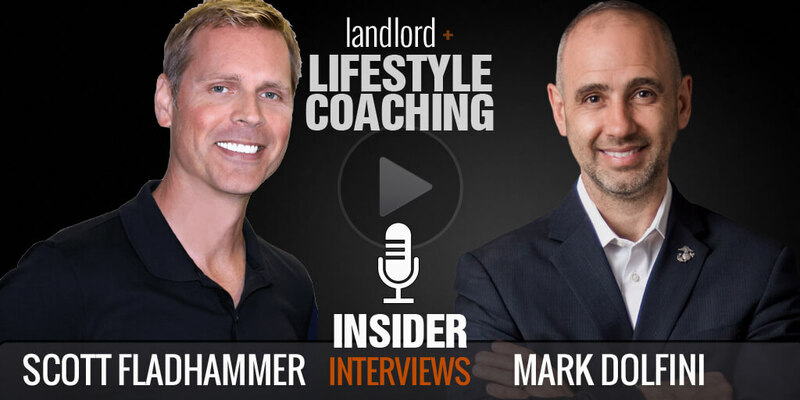 Our guest insider has been through the good and the bad that comes with a real estate business. Mark was working 20 hour days managing 90 rental units by himself and making a lot of money, about $65,000 a month in revenue, but found his quality of life really suffering. 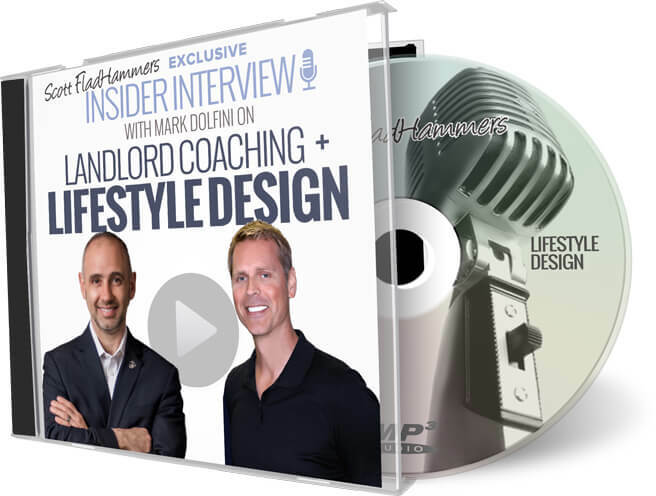 Mark’s lifestyle was bankrupt which then affected his health and his business. He documented how he worked through that, in his book The Time-Wealthy Investor where he outlines his VIP Process of setting up a real estate business to own more, work less, and creating the life you want. Because landlording involves people, property and the problems that come from both of those there will inevitably be times of drama brought on primarily because of occupants in your property. During these times of drama, a social model called ‘The Drama Triangle’, you can still be in control by directing the conversation and solution quickly and efficiently. Pay close attention to how Mark handles the Drama Triangle for more peaceful property management by circumventing the conflicted or drama-intense relationship transactions. Build a real real estate business and more! 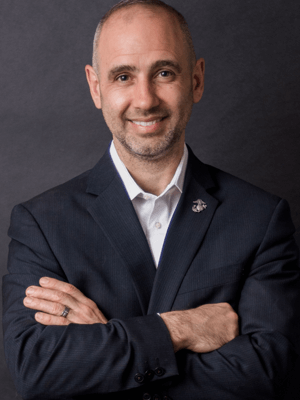 Veteran of the U.S. Marines, Mark Dolfini is the author of Real Estate Roadmap To Owning More, Working Less, and Creating The Life You Want. Mark received a Bachelor of Science in Accounting at Purdue University, and worked for Marriott International before venturing out full-time in the world of real estate investing. He has managed $40 million worth of real estate as the Managing Broker of his company June Palms Property Management. 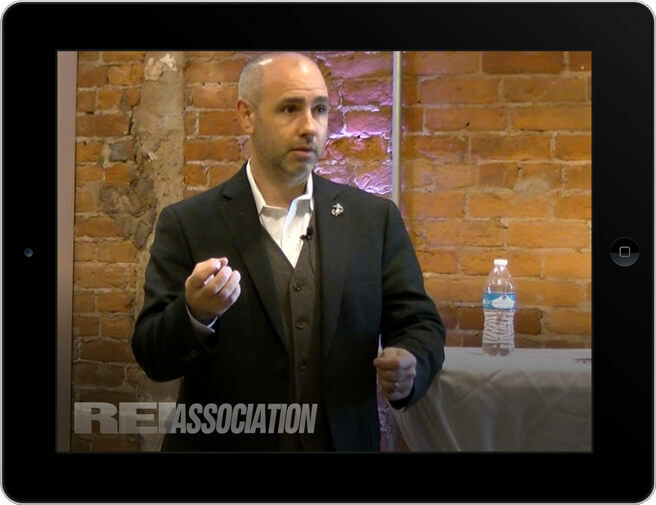 Mark is the CEO of Landlord Coach, LLC, and sits on numerous corporate boards including the Better Business Bureau of Central Indiana, the National Federation of Independent Business, and is an Area Director for the Central Indiana BNI Franchise – a networking organization. He and his wife Jennifer live in Lafayette where they are raising their two sons, Leland and Logan.